At last… our first delivery has arrived. Some colourful plugs have now arrived and been listed onto the website. As the weather is still not great for us gardeners at the moment, they are tucked away in the heated tunnel until it starts to improve. 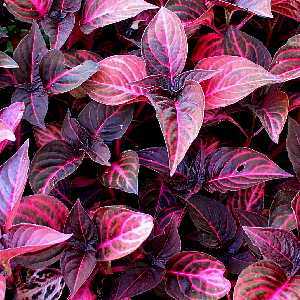 I have picked some colourful treasures including Iresine Brilliantissima, Coleus Combat and Ipomoea Sweet Caroline Purple to add a splash of colour to your gardens. 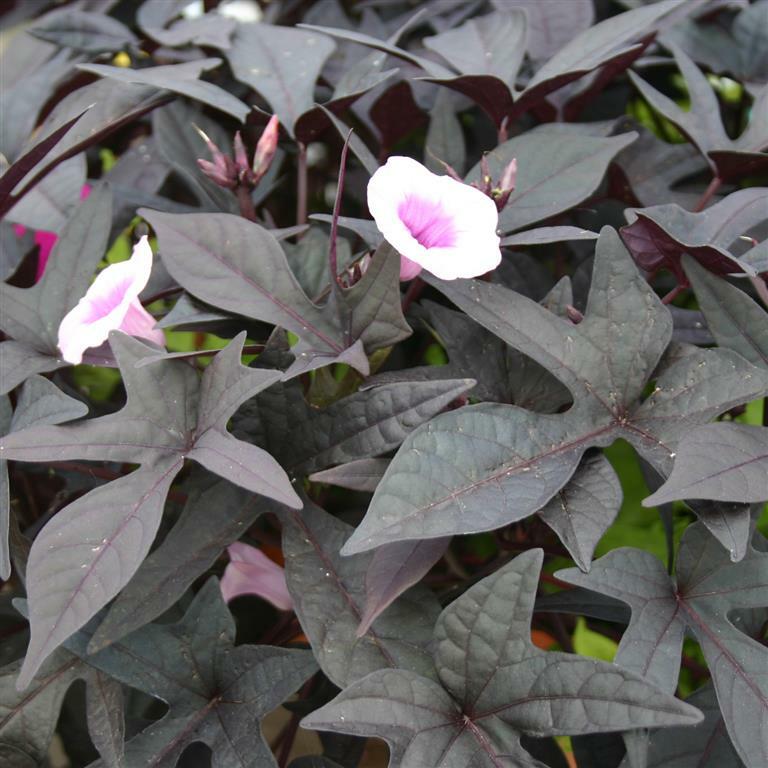 They have been listed as plug plants at the moment but we will start potting them up soon to sell as larger plants. Check them out!!! I will now be working on other delveries to arrive in the next few weeks including Bananas, Alocasias and other tropical beauties so keep an eye out. As some of you may be aware, we are in the process of moving our plants to a new nursery. From spring we will be renting a s pace at Hillfield Nursery based 5 miles from my home address. This will enable us to increase stock and have a better environment to grow, package and display my Tropical plants. Due to this, I have tried to keep stock to a minimum to avoid moving huge amounts of stock. The polytunnel has had a new cover and doors and we are in the process of building a smaller heated area inside along with a propagation area with heated beds and hot boxes. These are used not only to keep the tender plants ticking over through colder months but also to start them off in spring. In the next few weeks I will starting to sow a huge variety of seed that I have been collecting and purchasing over the year. Its is an exciting time for me and the business and will also mean that some of my plants will be available to buy from the nursery as well as online. A ‘Local Pickup’ option has also been added to the website so you can order online and collect from the nursery to avoid missing out. I will post more details as we progress. Just when we thought spring was almost upon us following a few nice days, the temperatures have plummeted again. Although not as cold as it could be it has put things back a bit again. We have a few areas of the garden centre that are heated. The small Tropical Tunnel, home to the Colocasias, Alocasias, Bananas and other tender plants, is heated using two electric fan heaters. These just take the edge off the cold, enough to tick them over. Most of the Colocasias have lost their leaves now but have formed a bulb which will shoot again once the weather improves. While they are in bulb form we keep them dry. Our hotboxes are also heated within an unheated polytunnel, this is where we start the young plants off. Some from seed and others from plugs. They stay in here until ready to pot up. Some of the young Colocasias are now starting to produce new leaves. We have 4 boxes in total, 3 of them are heated with soil warming cables and the other is heated by a fan heater. Each of them seem to have different conditions, this is good for us and allows us to move plants into the correct box. One has just had a full spectrum LED Grow Light installed to help establish the plants earlier by providing the effective wavelength for the plant thrive on, which can be fully absorbed by the plant to photosynthesise. This enables to get the plants ready for sale a lot sooner (we hope) :). Finally our Cactus Conservatory is also heated. Let’s hope things improve soon as these dull, damp don’t really make you feel like doing much. As we are all itching to get back into full gardening mode, I decided to start on some seed sowing! Spring is not really that far away. Every year it takes me by surprise, I think there’s always loads of time but it soon comes around. I have found myself looking through numerous seed websites and catalogues over the last few weeks, buying seed and also rummaging through bags of seed we have collected here from our own plants to see if there is anything I can get into the soil now. It is amazing at how many can be sown in January and February, especially if you have a heated greenhouse or propagator. Cara and I have been busy sowing various packets. So far a few trays of Ornamental Grasses, Impatiens, Fern spores also went in today on sterilised, own recipe compost. Canna seed has also been left to soak over night. A few varieties including patens, ‘Intrigue’, altensteinii, ‘Crozy’s New hybrids’, brasiliensis and flaccida. These will get sown tomorrow. Once you see the seed you realise why they are given the name of ‘Indian Shot Plant’. 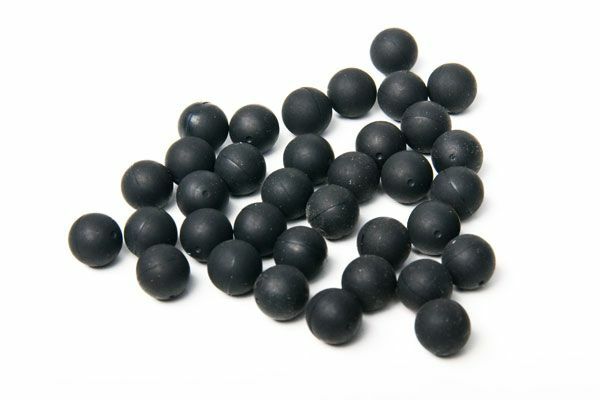 They look like black ball bearings and I bet they hurt if you get one shot at you! I will keep you updated with our progress. I regularly post pictures on our facebook page. We have just taken delivery of a new batch of ROOTGROW Mycorrhizal Fungi. Recently featured on Gardener’s World. 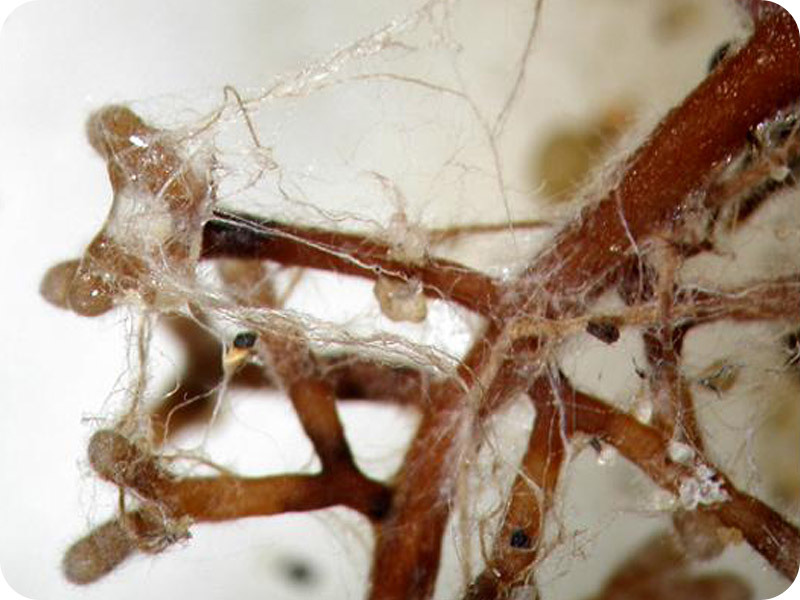 Mycorrhizal fungi are a remarkable group of organisms that have been benefiting plants for at least 500 million years. At the dawn of time when plants were just beginning to colonise our planet mycorrhizal fungi were there living in a symbiotic relationship with plants enabling them to extract nutrients and hold onto water in very difficult soil conditions. In effect, the fungus provides a secondary root system, a system that is considerably more efficient and extensive than the plants own root system. These fungi are living organisms and will live with the plant, sourcing a continued nutrient supply for its entire lifetime – a truly sustainable plant nutrition solution. 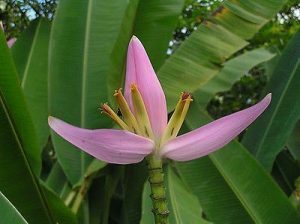 In exchange the plant provides carbon and sugars to the fungi. Not unsurprisingly, 90% of all land plants employ this relationship to enhance their own root system’s capacity to deliver nutrients. Any plant order over £50 will receive a 60g sample pack so you can have a go for yourselves.